Hello We R friends! Enza here to share a Valentine’s Day project created with the help of a few We R Memory Keepers tools. 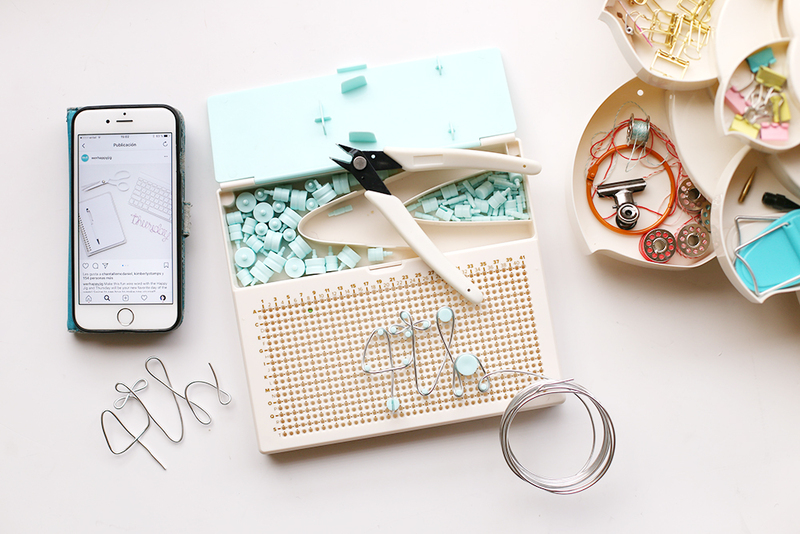 Some of these tools have become a staple for me; I use them all the time for a variety of crafty projects, as they allow me to get the job done quickly and efficiently. For today I’ve decided to make a Valentine loaded trifold flipbook to send to one of my best crafty friends. I started by trimming my paper to measure 7×12 inches, and scored it at 4 and 8 inches with the Mini Score Board. I wanted the folding flaps to have slanted corners, so I marked them vertically at 3.5 inches an d cut them with a craft knife using the 12” ruler that comes in the Ultimate Tool Kit as my guide. Once the base was ready, I started making my embellishments. First, rosettes in different sizes, which I simply embellished with a sticker in the center and transformed into paper clips. Next two tags, that I used to wrap washi tape around and add as a little surprise. Lastly, I created a “love” word with the Happy Jig, which I thought it would be a nice and sweet addition. In order to hold all these goodies, I added pockets to each flap by simply stitching a strip of paper down. I embellished each section of the flipbook with lots of die cuts and stickers from the Crate Paper La La Love collection. Thank you for stopping by today! I can’t wait to give this flipbook to my sweet friend. What crafts are you making for Valentine’s Day? Holiday Gift Idea: Kate Spade Inspired Penguin Pouch + free pattern! I’ve got a couple of friends that I love to make handmade gifts for each Christmas. As I was thinking about what to make for them this year, I was totally inspired by a cute Kate Spade NY penguin wallet I found online. I decided to create my own version of it as a gift for my friends. I wanted my gift to be something practical and unique. I decided on tissue pouches given the cold and flu season. I’m a crafter more than a sewist, so I went with felt as my fabric of choice. It feels more like crafting than sewing when I work with it. I found a great tutorial online for easy tissue holders HERE and got started! If you’d like to make one for yourself, or as a gift, you can download a free pattern for the Penguin Pouch below. I started by cutting a 6 3/4 x 5 7/8 inch piece of white felt. I folded the short ends toward the center of the felt so they touched each other and then pinned them down. I sewed each end about 1/4 inch in from the edge with my Stitch Happy sewing machine and some white regular thread. Cut a 1 1/2 x 5/8 inch strip of black felt for your loop to attach a key ring. Fold it in half and hot glue the short ends together. Then center the loop and hot glue it in between the double edges of the tissue holder. Next, I cut a 3 3/8 x 5 7/8 inch rectangle from black felt. I used a dinner plate to cut a curve in one of the long edges. Then, to create the beak, I folded the felt in half with the short edges together, and cut a 1/2 inch slit at an angle just above the curve. Cut a 1 inch yellow square from golden yellow felt and adhere it to the back of the black felt over the slit you cut for the beak. (I used my USB Power Mini Hot Glue Gun, but you can also use fabric glue or tacky craft glue). Place adhesive along the edges of the square only so your beak isn’t attached and can fold upward. Using black Stitch Happy thread, handstitch around the shape of the beak to add some detail. Next, create your eyes by cutting two 1 3/4 inch circles from white faux fur (or felt). Then cut two 1 1/4 inch circles from black felt, two 3/4 inch circles from white felt and two 1/2 inch circles from white felt. 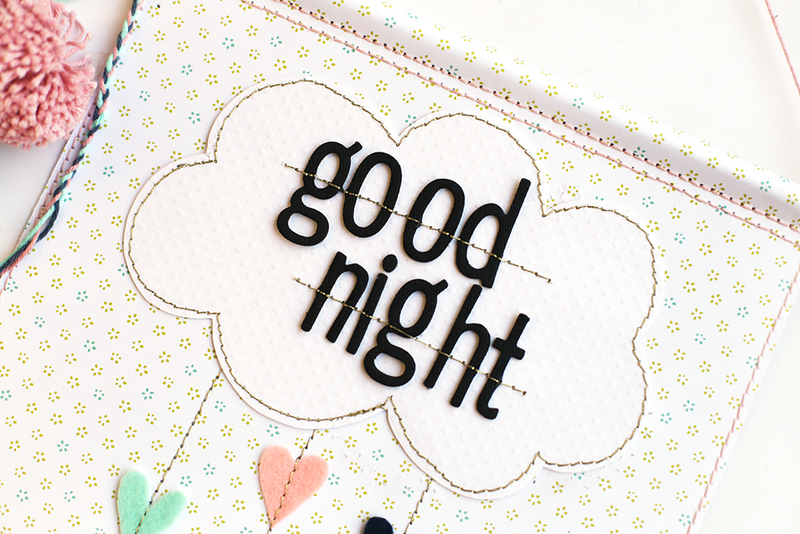 Cover the 1/2 inch circles with silver glitter using clear glue as adhesive. Set them aside to dry. Hot glue the 3/4 inch white circles in the center of the 1 1/4 inch black circles. Then hot glue those in the center of the 1 3/4 inch white faux fur circles. Once they’re dry, glue the 1/2 inch white glittered circles in the center of the 3/4 inch white circles and hot glue black enamel dots in the center of the glittered white circles. Tip: you can cut the circles for the eyes with scissors using the free template, or you can cut them with the Evolution Advanced and some circle dies. Hot glue the black curved rectangle to the back of the tissue holder (opposite side of the slit). Hot glue the eyes on either side of the beak. Add a key ring to the felt loop. I added a waterfall tassel to the key ring for a touch of style, and because tassels make everything cuter…right? To make a water fall tassel, use the Tassel Loom and some silver Stitch Happy metallic thread to make three 2 inch tassels, leaving the ends for hanging extra long (8-10 inches). Thread the ends of the first tassel up through the band of the second one and tie the ends tight so the top of the first tassel comes up under the bottom of the second tassel. Do the same thing to the third tassel, so all three are connected and overlap. Use the ends to tie the waterfall tassel to the key ring. 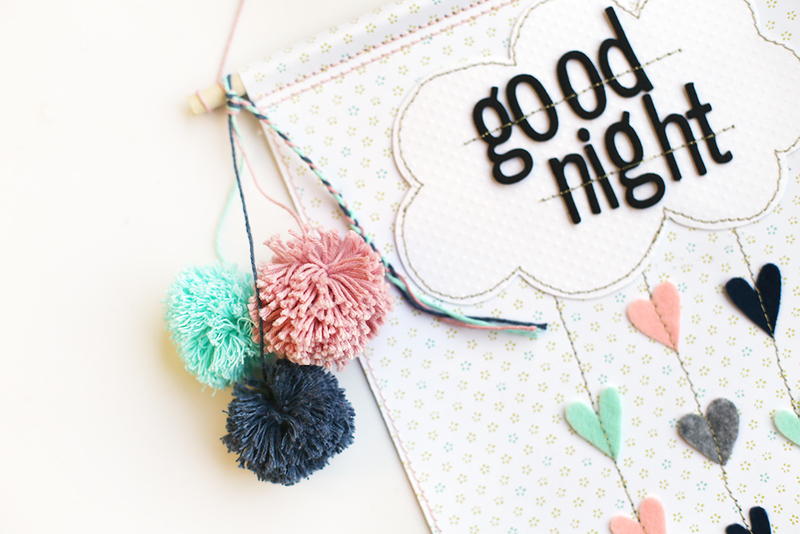 Fill the tissue holder pouch with pocket size tissues, wrap it up and gift away! Your recipient can attach this adorable Penguin Pouch to a purse, backpack, keys or a brief case, and they’ll have tissues ready to go for cold and flu season or any time they need them! If you have some summer or travel memories that need to be documented and to find a home, here’s a great way to do that! 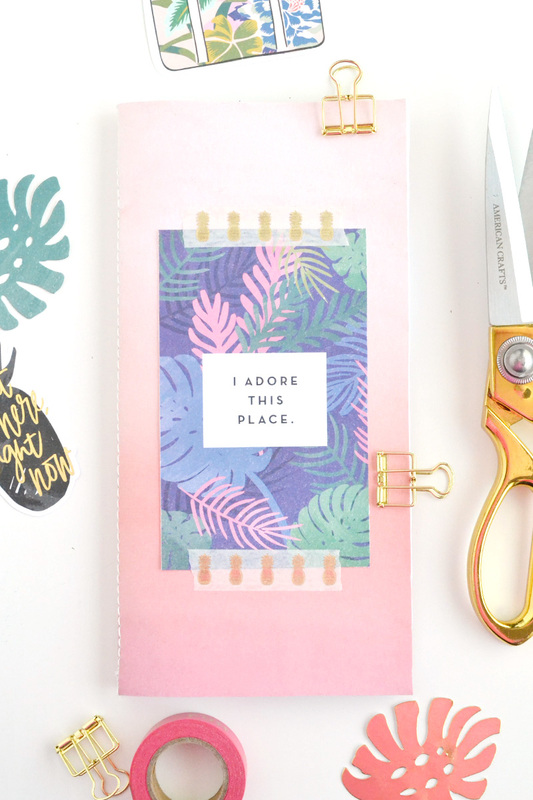 Make your own traveler’s notebook with some office paper, patterned paper, and the Stitch Happy Sewing Machine. Hello friends, Aly here. 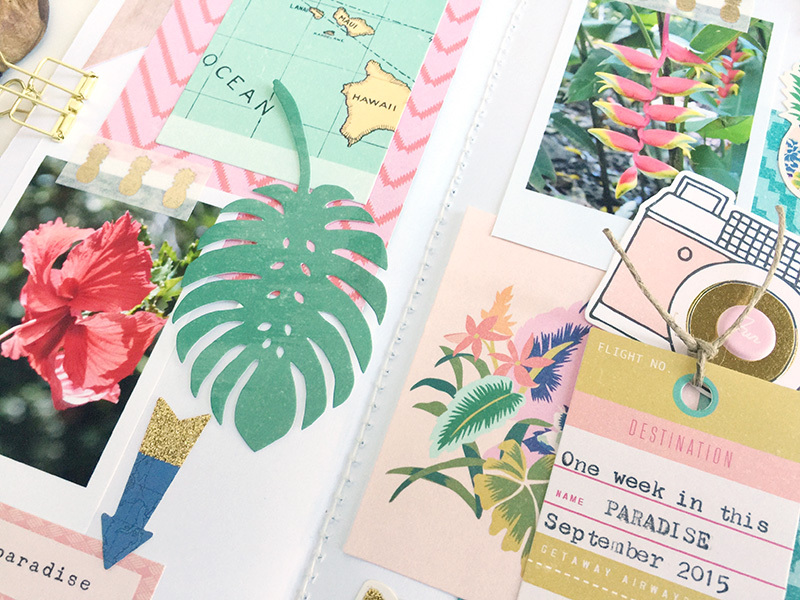 Recently, I shared a tutorial for making this Hawaii themed Traveler’s Notebook plus one of the inside pages on the Scrapbook & Cards Today magazine blog. You can catch the original post, including a process video and demo of the Stitch Happy HERE. The thick Stitch Happy Thread (similar width to floss) really holds the six sheets of copy paper plus the cardstock cover together securely. I used my used my Typecast Typewriter to add some journaling directly to one of the tags from the Oasis Ephemera Pack. I love journaling with my Typecast-so easy! I love using Traveler’s Notebooks to document memories. 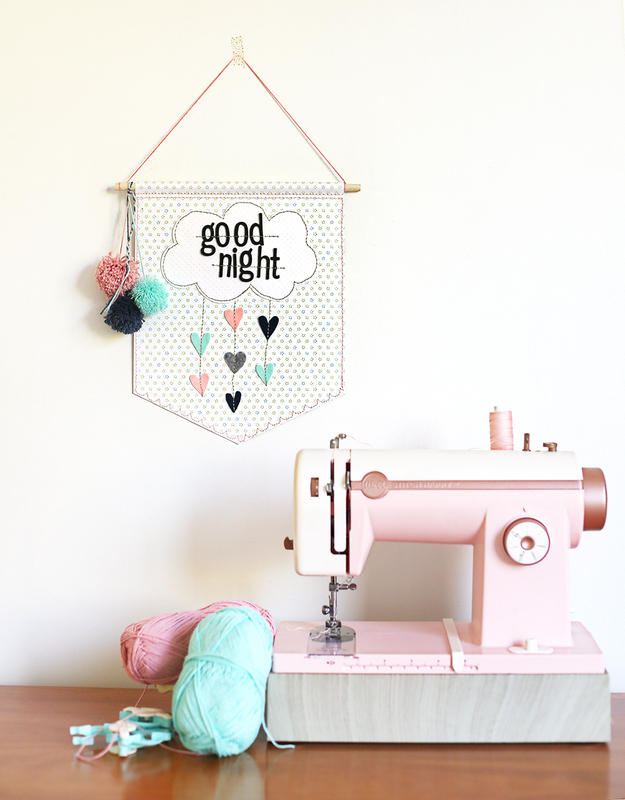 They’re quick, easy, and can be made in no time with the Stitch Happy sewing machine. They’re my favorite DIY project to date! Thanks for joining me today. Have fun with your travel-themed projects, and enjoy the rest of your week friends! Hello, We R friends. 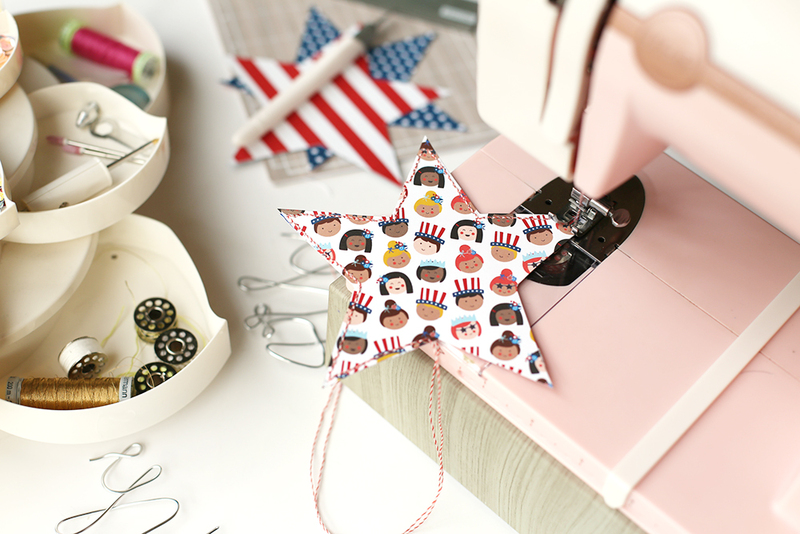 Enza here, and today I am sharing a mini album that I created with lots of washi tape and a few of my favorite tools: the Stitch Happy Sewing Machine, the Tag Punch Board, and the Frame Punch Board. I love making mini albums, and this one was especially fun. I went with an accordion style design, for which I used a washi tape binding technique that is really easy to make. I started by cutting the panels; mine measure 5.5”x3.75”. I laid them side by side, making sure to leave about 1/8” in between, and secured the edges with a strip of washi tape. I repeated this step for all the pages, front and back; I then used my Stitch Happy to sew the washi strips in place. This is a necessary step in my opinion, as washi tape tends to detach from the paper overtime. I also love the texture that stitching brings to the pages! Once the accordion piece was finished, I created some frames to use as embellishments using the Frame Punch Board. 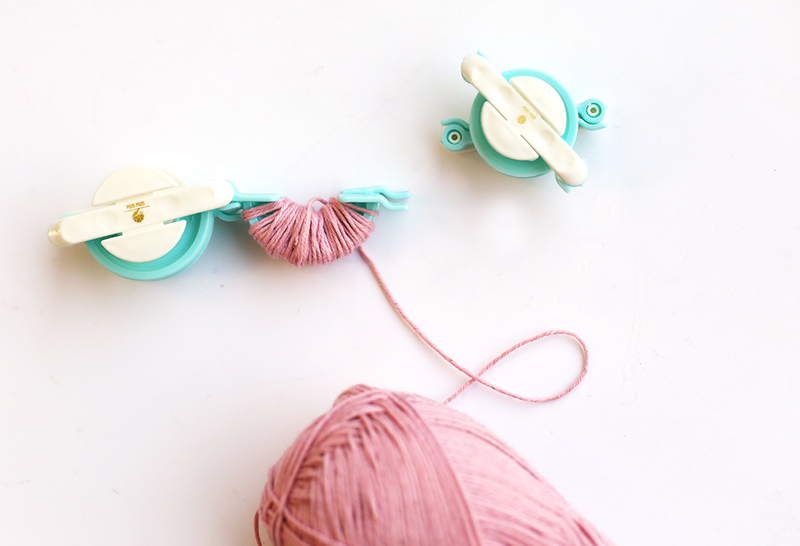 This tool is a must have, and is perfect for any memory keeping project or fun décor pieces. Since I wanted to use more washi, I trimmed white cardstock to the desired size and covered the edges with washi tape before punching out the shape. You can see how I have used the frames in the pictures below. Next, the tags. The pages of the album are only adhered on three sides, becoming pockets that are perfect for storing hidden journaling or memorabilia. 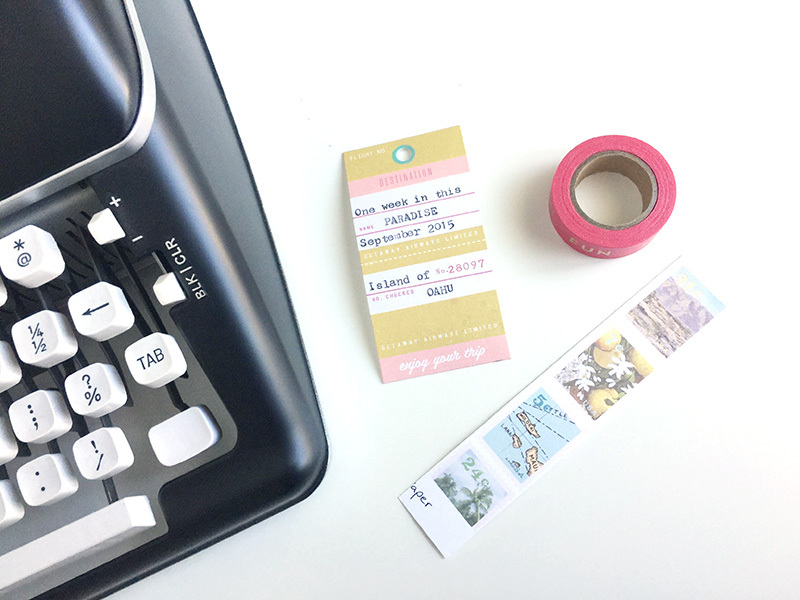 I used the Tag Punch Board to create three tags, on which I typed a bit about our lovely trip. I left part of the tags showing, and added some bakers twine so to create an interactive element and suggest pulling the tags to reveal the little surprise. Here are a few more photos of the mini. I like to include fun and unique embellishments whenever possible, such as vellum pockets filled with sequins and small ephemera pieces, shaker pockets, tassels, paper clips. Thank you so much for stopping by today! I hope you have enjoyed reading about my process and will feel inspired to create a mini album with your We R Memory Keepers tools. Hello everyone! 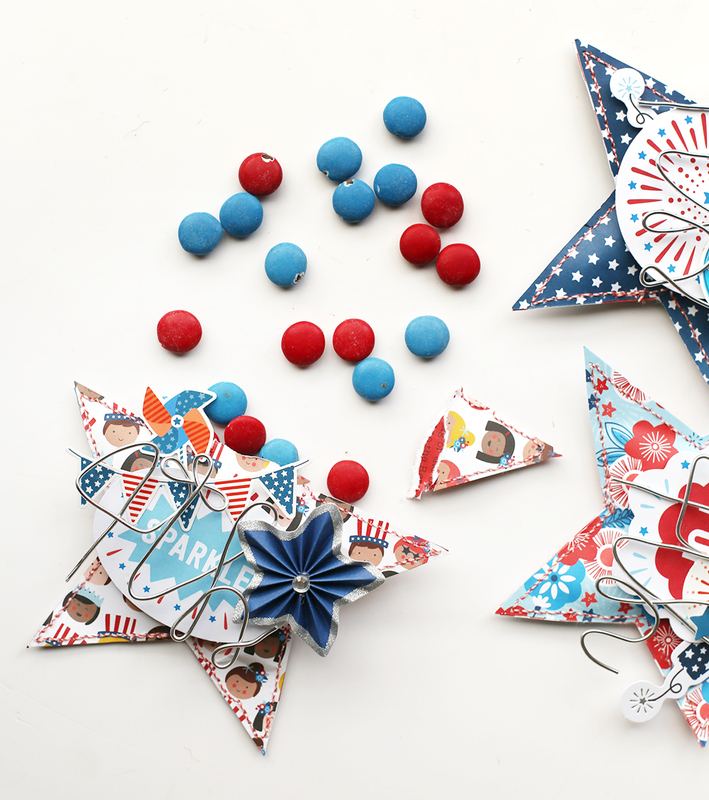 It’s Eva on the blog today sharing a 4th Of July party favor made with some of my favorite tools, including the new Happy Jig! I think party favors are super cute, everybody is happier when they go home with a little something! These favors are easy and look great! 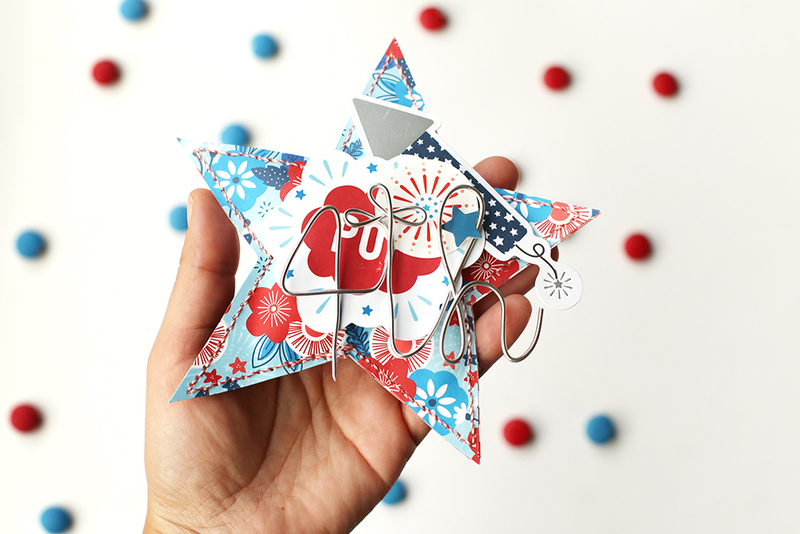 You could use them for a party or maybe to give to your co workers or neighbors during the 4th of July! The silver wire was the perfect match to the “Land that I Love” line from Pebbles Inc. 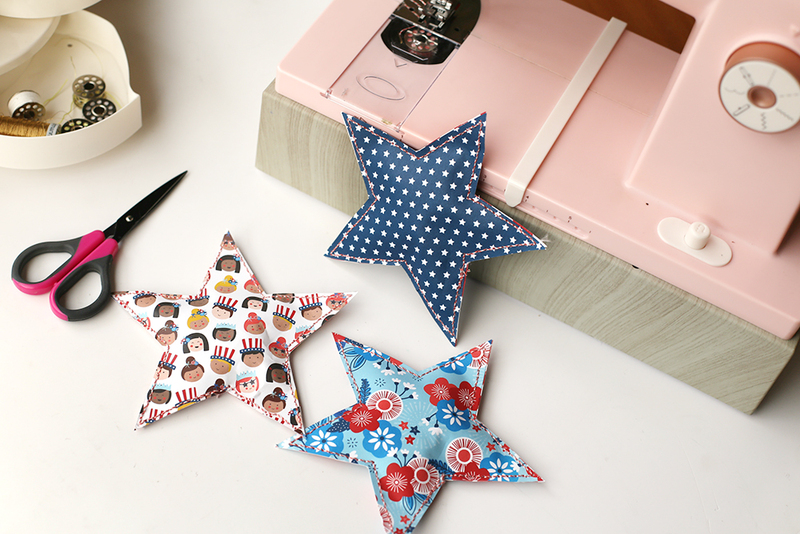 I also cut some stars on patterned paper. I used a template and then used my Magnetic Mat and Craft Knife to cut the 2 star shapes at the same time. The paper doesn’t move because the magnetic ruler and mat keeps everything in place, super handy! 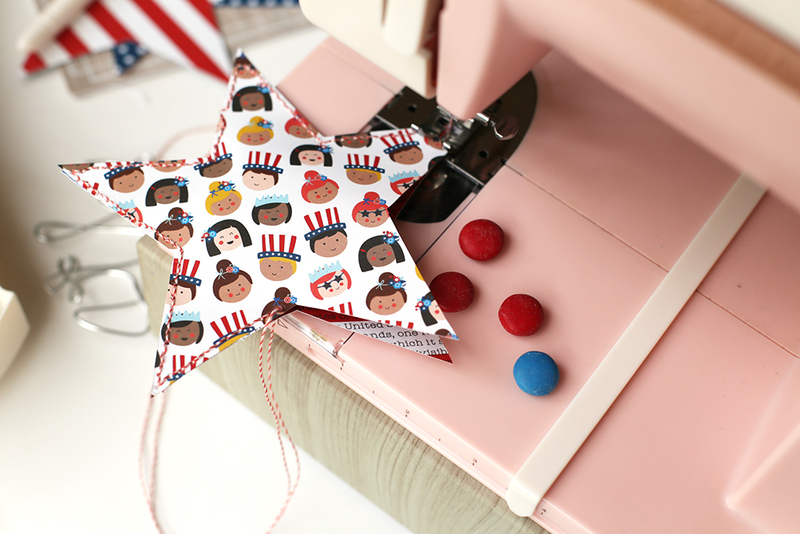 I used my Stitch Happy and the Stitch Happy Bakers Twine Thread to sew all around my star. Just before I finished the edges I put some red and blue candies inside. 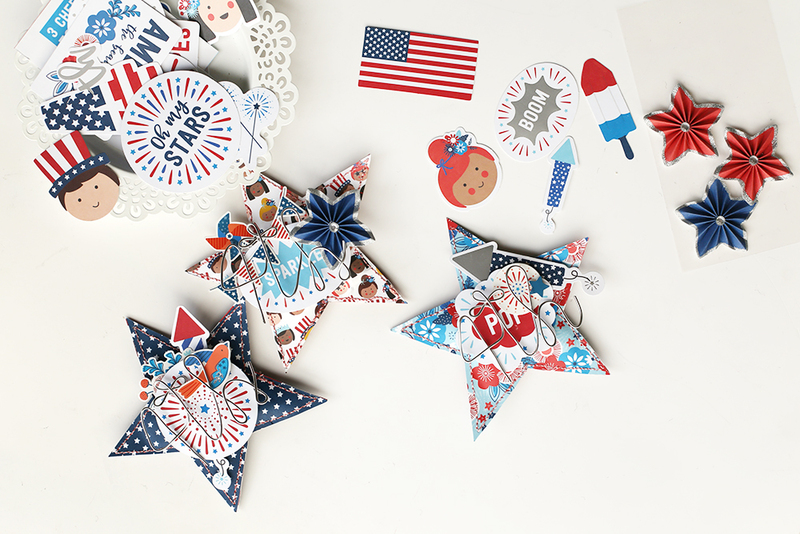 I decorated my stars with some die cuts, stickers and 3d elements from the same “Land that I Love” Pebbles collection. On top of everything I added my “4th” shape. 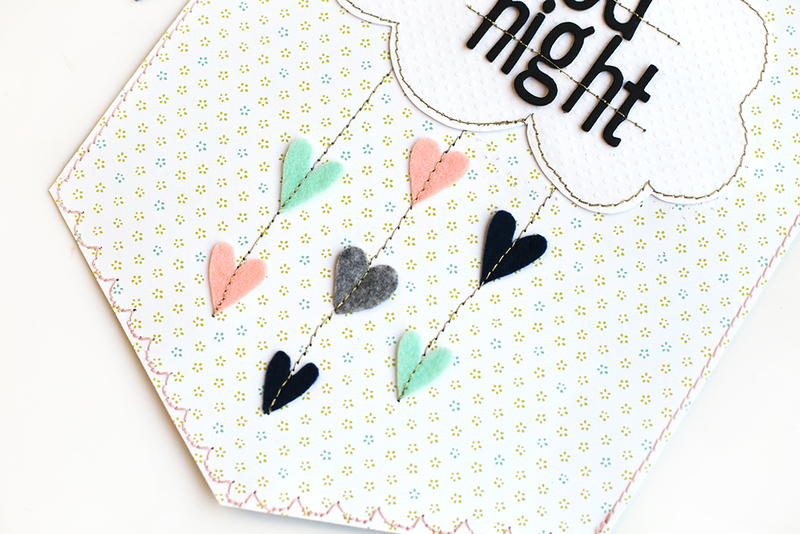 I love that I can layer a wire shape and still see all the other embellishments! To open the star simply tear the paper and enjoy the candy! 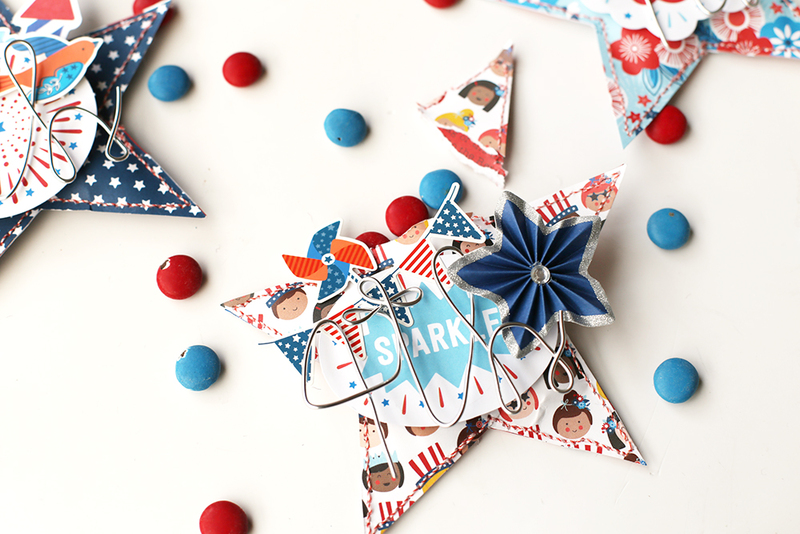 Do you have a big party to celebrate the 4th of July? Here in Chile our national holiday is September 18th and we always celebrate with friends and family! Hello everybody! 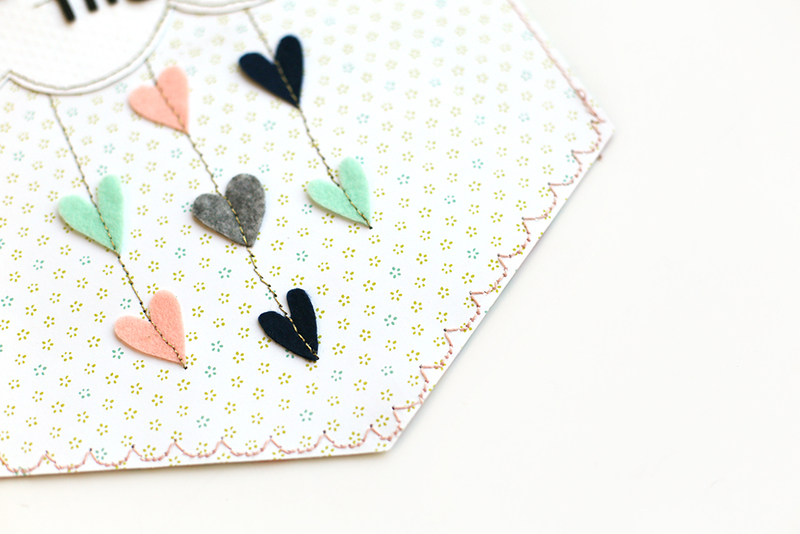 Soraya here with you today to share a new layout using the adorable Mini Envelope Punch Board. 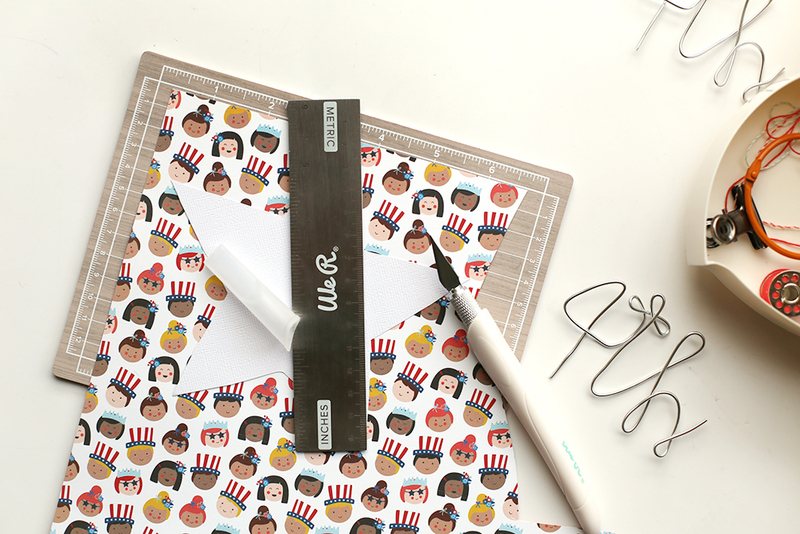 I love this little tool so much, it is so handy, light and easy to use, I had a lot of fun making a bunch of mini envelopes to create the final design of my layout! As I wanted the smallest envelopes I went with lots of 2×2 inches pieces of paper I found on a gorgeous 12×12 patterned paper from Pink Paislee. The colorful squares were already printed so it was very easy to cut them with my Trim & Score Board. The mini envelopes measure 1×1 inch once they are folded. How cute are they all ?! They will be perfect to decorate the background. To add more texture I decided to create the grid of the background with some stitching. 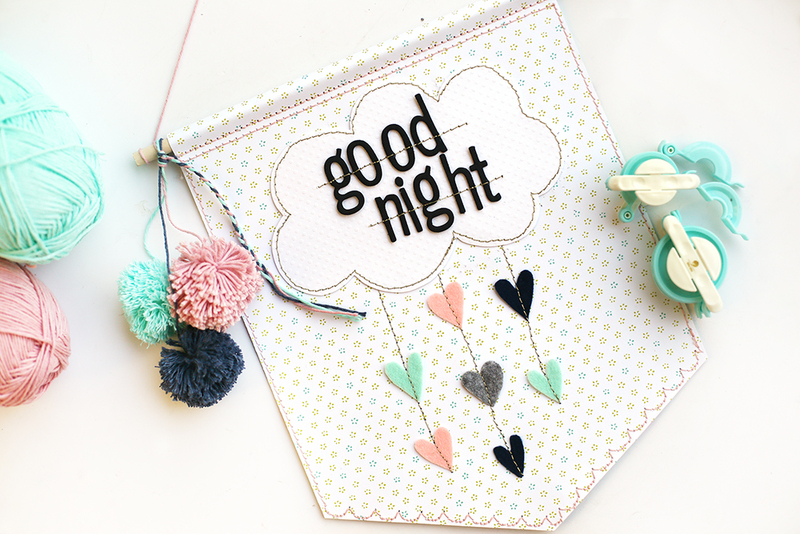 The Stitch Happy made that really easy. The mint twine was the perfect texture to add more dimension. This layout is very colorful in every way thanks to the watercolor touches and the beautiful floral chipboard pieces I put on the edges. I hope you had fun joining me today, happy creating everyone and until next time! Hey there We R Memory Keepers friends and fans, Becki here, to share a mini album that I created with the Tab Punch Board and a few other We R Memory Keepers tools. I LOVE making mini albums, especially mini albums from scratch. There are a few tools that are a must have for creating mini albums. I have to have the trim and score board, the planner punch board, the Stitch Happy sewing machine, and the tab punch board. 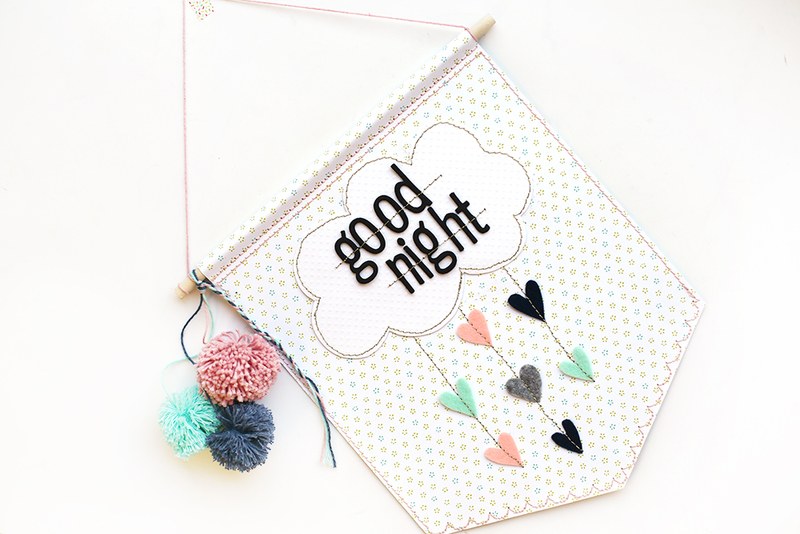 Who doesn’t love cute tabs in their mini albums? This is a smaller mini album with only 5 pages (including the covers). The album is titled “currently…” it’s an album showcasing each person in our family and their current interests. I created one page for each of our kids and then my husband and I share the last page. I started by cutting all of the pages from patterned paper to 6 inches wide and seven inches tall. When I had all the pages of the album cut I punched holes in each page. The planner punch board is awesome for punching holes into pages for mini albums because I can adjust the punch board and punch all of the pages and they’ll all be exactly the same. Because I wanted the tabs on the pages to be double sided and have a different pattern than the actual pages, I cut a two-inch strip of patterned paper and folded it in half before using the tab punch board. This punch board is so versatile. I love that I can create small, medium, or large tabs with the same tool! After I made the tabs, I stitched them on the edge of the pages. By stitching them in place, you’re guaranteed that the tabs will stay in place! After the tabs were stitched in place, I typed each family members name with my typecast typewriter on white cardstock. Then, I cut the names into small strips and adhered them to the corresponding tabs. Here’s what the inside of the album looks like. I love the tabs, the stitching, and of course, the typed journaling. Do you create mini albums? If you do, what are your must have tools to create the perfect album? I’d love to hear about your creative process? Do we share the love for the same tools? Thank you for stopping by the We R Memory Keepers Blog. I’ll see you again soon! Happy Friday We R fans! Summer is almost here, and we couldn’t be more excited for the warmer weather, the backyard parties, and some serious beach time. We’re ready to make some fun memories! 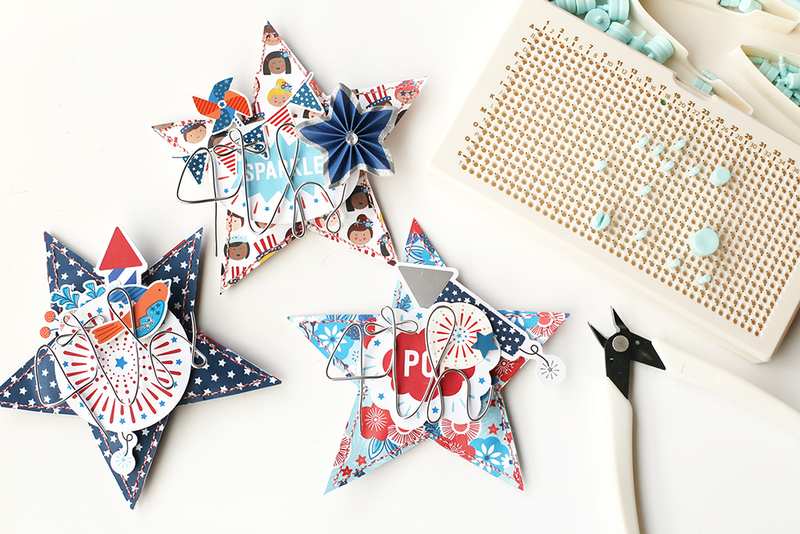 If you’re ready for summer and are looking for a project to sink your crafty teeth into this weekend, we’ve got some great ideas for you! Don’t let those awesome summer memories disappear. Document them in a DIY Summer Bucket List Album. 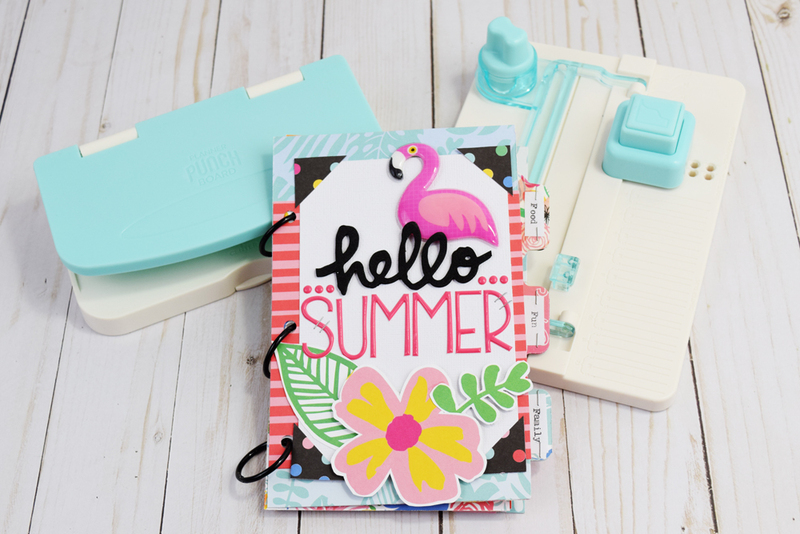 Using the Tab Punch Board, the Planner Punch Board, and the Typecast Typewriter, creating this adorable mini book is a breeze. CLICK HERE for the tutorial. Create a custom beach bag that reflects your own personal style with the Stitch Happy sewing machine. This unique multi-media machine allows you to stitch with thick twine and metallic thread so you can add a handmade touch to your fabric and paper projects. 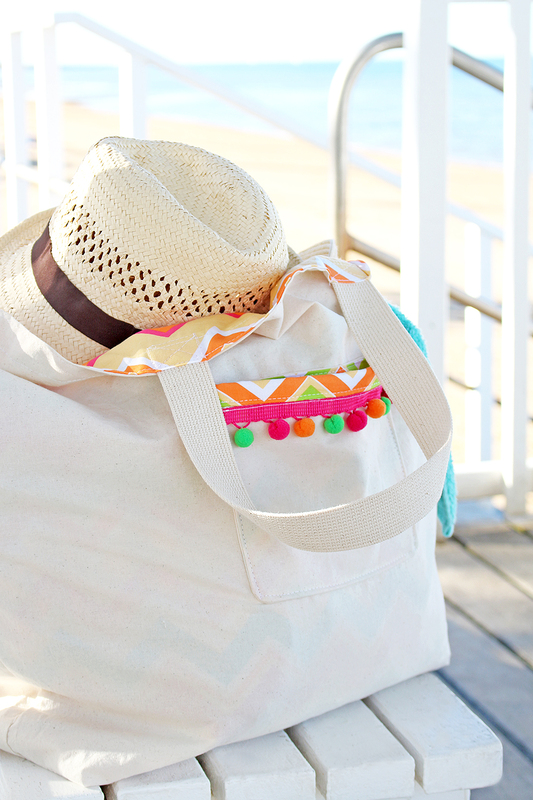 You can find instructions for making this beautiful beach bag HERE. Need a fun summer party theme? 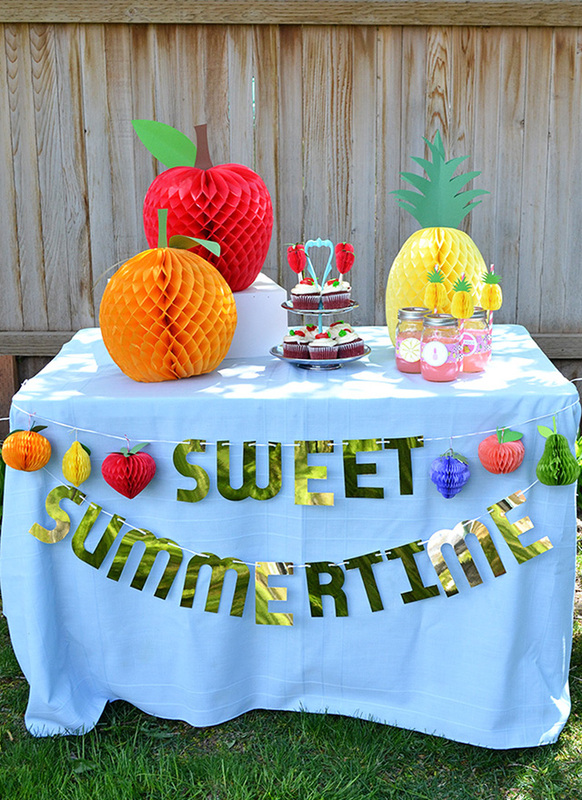 Celebrate the sweet summertime with a Tropical Fruit Party! It’s easy to create fruit that looks good enough to eat with the DIY Party Collection. Using the Honeycomb Pads and Stencils you can make anything from strawberries to pineapples. Visit the blog HERE to learn how to make your own Honeycomb Tropical Fruit. Thanks for stopping by. Have a great weekend, and happy summer crafting friends!